Hotel Sun Palace Residency is located within Sector 61 of Noida near Shopprix Mall. 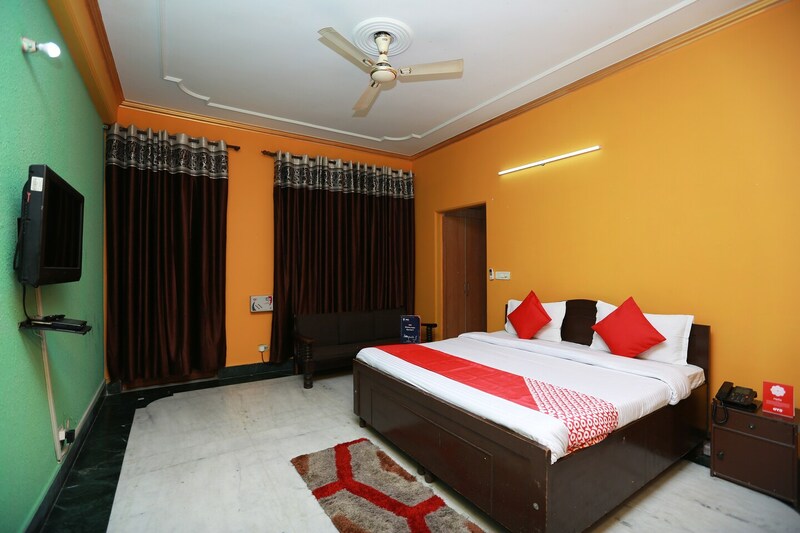 The hotel is quite popular due to the comfortable rooms and the numerous facilities provided. All the rooms have been designed and decorated in bold and bright hues. The rooms have been provided with tiled flooring and are well-lit. Some parts of the floors have been covered with an elegant carpet. There are large windows in each room which let the guests enjoy some bright sunlight, fresh air, and views of the surroundings. The rooms are very spacious and are well-furnished. Every room has been provided with an elegant leather couch. The additional facilities provided by the hotel are free Wi-Fi, parking provisions, a constant power backup source, a common dining area, and CCTV cameras. The facilities can be used by the guests as and when required. The hotel is surrounded by a number of eating facilities such as the McDonald's, Otik Cake Shop, Yumm Biryani, Culinate, and Flames Of India.